One of the most raging debates in the country is whether or not Halloween candy is solely responsible for the variety of health problems affecting Americans. Don't worry, I am not going to touch that issue in this article. Always eat something good for you before diving into the treats. Brush your teeth after you eat candy. Indulge in as much candy as you like on Halloween night. The remaining candy should be eaten in moderation. Every year, we pooled all of the collected candy and everyone fought or traded for their favorite sweets. Naturally, candy bars and chocolates were the most coveted items, but plenty of the more humble candy was loved too. Most of these candies have been around since our grandparents were trick-or-treating. Some even longer. They have become traditional additions to mixed candy bags, and are always guaranteed to show up in your pumpkin on Halloween night. 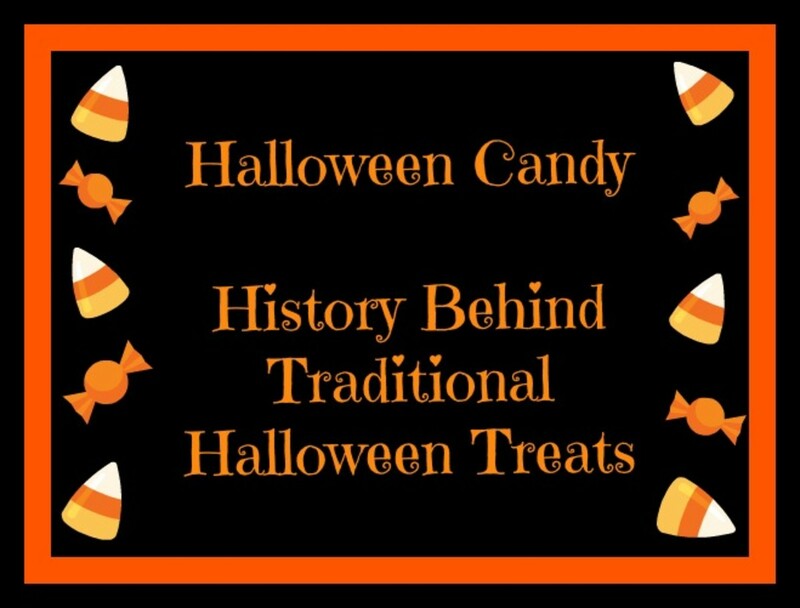 For the candy lovers, the history lovers, and the Halloween lovers of the world, here is a brief history of some of Halloween's most common candies. 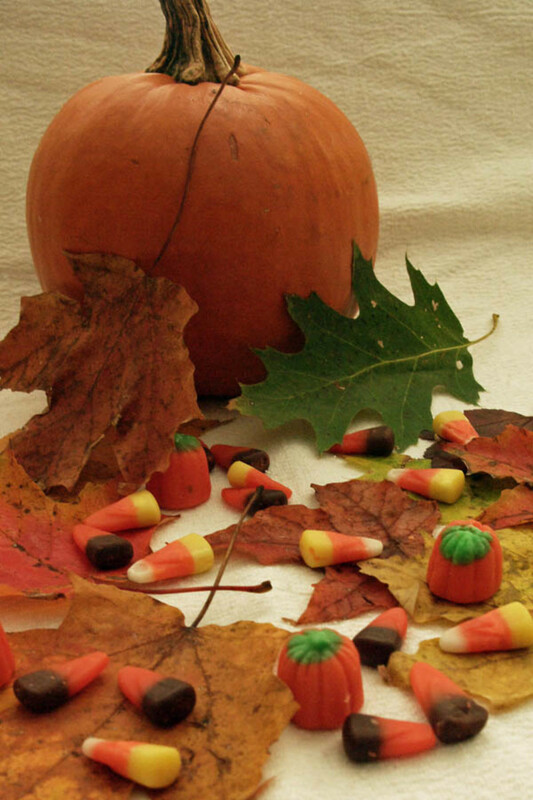 Candy Corn was first made, (by hand) in the 1880's, making it one of the oldest candies. Originally, the candy was targeted to appeal to farmers. Its origin is attributed to a man named George Renninger, a confectioner with Wunderlee candy company. Later, the Goelitz Company began mass candy corn production. By the early 1900's the demand for candy corn was so large that the Goelitz's had to turn down orders. 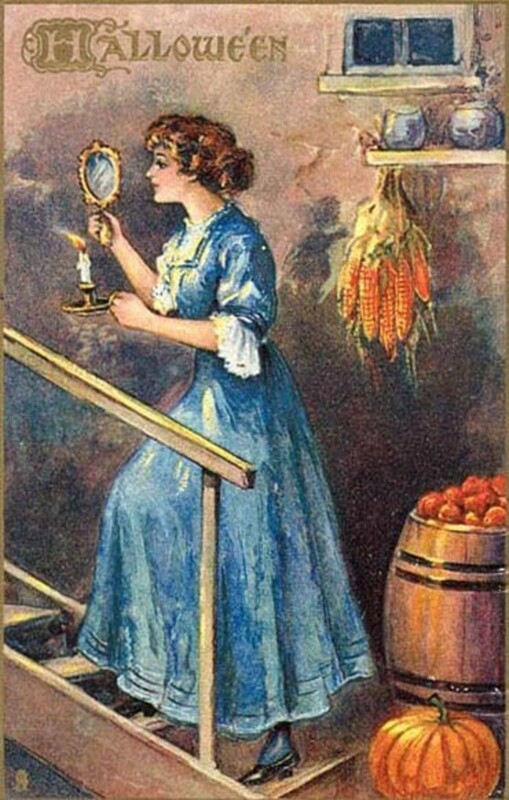 At that time, candy corn was packaged into crates and carried by wagon to houses in hopes of selling. It sold very well! It is still manufactured in basically the same way it was in the beginning, the only difference being that machines now do the dipping process. The essential process is the same. 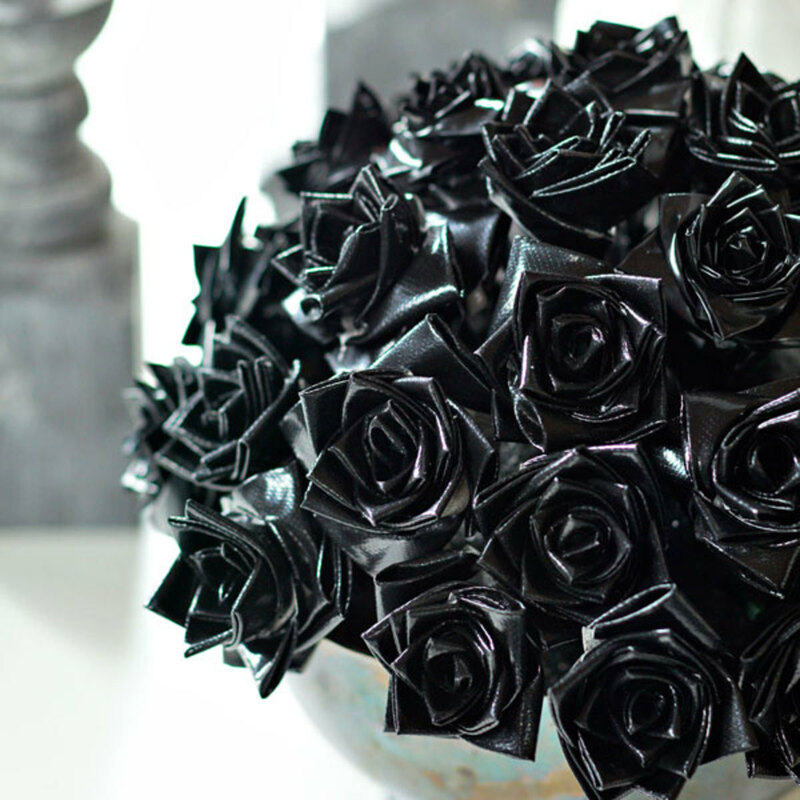 All of the ingredients are melted down and poured into molds, one color at a time. The popularity of candy corn hasn't waned. An estimated 20 million pounds are sold per year! That is a lot of candy corn. But Halloween and Thanksgiving wouldn't look the same without these bright kernels. 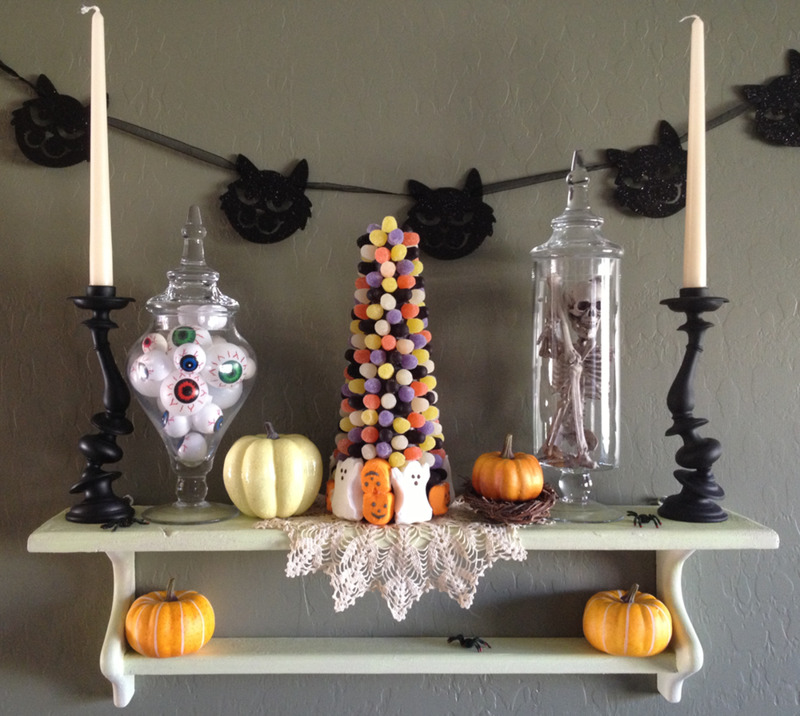 Not only do most homes have candy corn in a dish for the autumn holidays, the color theme has inspired many artists and crafters to make candy-corn themed decorations, such as candles, cakes, cupcakes, soaps, flower pots and more. Candy Corn now comes in different colors as well, and the same ingredients are used to make pumpkin shaped candies, which are usually sold in a bag with regular candy corn, as well as corn that has a chocolate stripe. Today, Goelitz is known as the Jelly Belly Company. 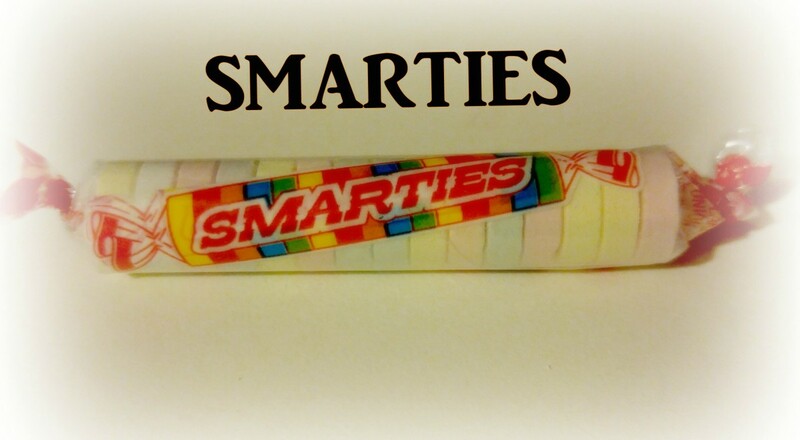 Smarties were first introduced in 1949 by Edward Dee. Dee founded the Ce De candy company in Bloomfield, New Jersey. Later the company was moved to Union, New Jersey, and has remained there every since. Likewise, the Dee family still oversees the manufacturing of Smarties candies. There are only two factories that make these tart candies. The one in Union, and another in Ontario, Canada (where the candies are known as Rockets). Therefore, the factories operate 24 hours a day to produce millions of rolls of these yummy bite sized treats. In 2011 Ce De candy company officially became the Smarties Candy Co. Occasionally at Halloween, you will see a few rolls of Smarties with "Made in Canada" on the wrapper. This is because the American demand for Smarties is so high that the plant in New Jersey can't supply enough. You may have also seen Smarties in large rolls, or in different flavors such as "extremely sour". 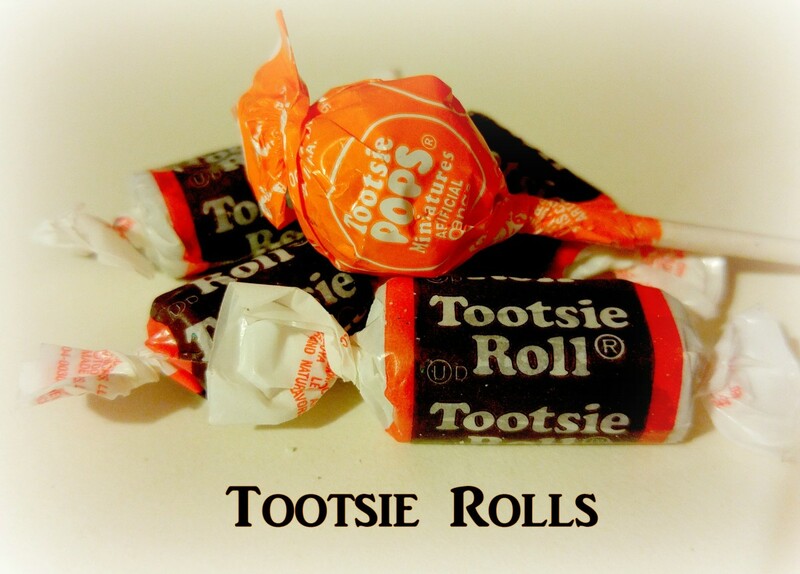 Tootsie rolls began as humble penny candies in 1896 when Leo Hirshfield opened a corner candy shop and began making these from a recipe he had brought from Austria. They became popular very quickly, most likely due to the fact that they only cost one cent, and yet could be chewed for quite some time. What is unique about Tootsie rolls over other candy, is that the recipe used leftover candy from the day before in the new rolls. Not only does this give the Tootsie rolls a unique texture, it also made their manufacture cost effective, as there was practically no waste. An idea that perhaps more companies should explore. Over one hundred years later, Tootsie Industries still uses the same recipe. In 1931 Tootsie created the world's most popular lollipop, when they put put tootsie candies inside of ordianary suckers. Two candies in one! They are named for Hirshfield's daughter Clara, nicknamed "Tootsie". Tootsie Rolls was a codename for ammo in the Korean War. Small Tootsie Rolls are called "Midgies". If you are expecting chocolate candies, then getting bubblegum in your Halloween bag might be a disappointment. However, if you are a gum lover, Halloween is a great night for you, since almost all of the big variety bags of candy have Dubble Bubble in them! Dubble Bubble was the first bubble gum, and was invented by accident in 1928. 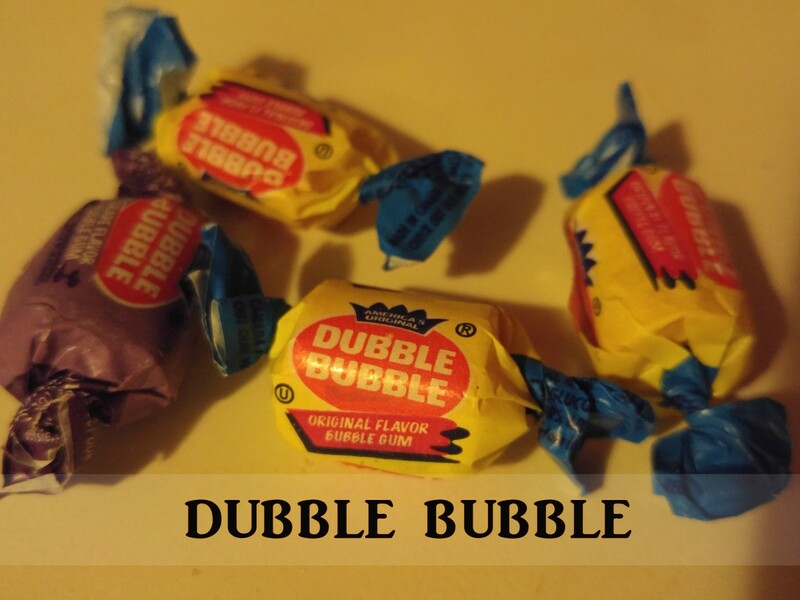 Unlike other candies, Dubble Bubble wasn't cooked up by a confectioner. 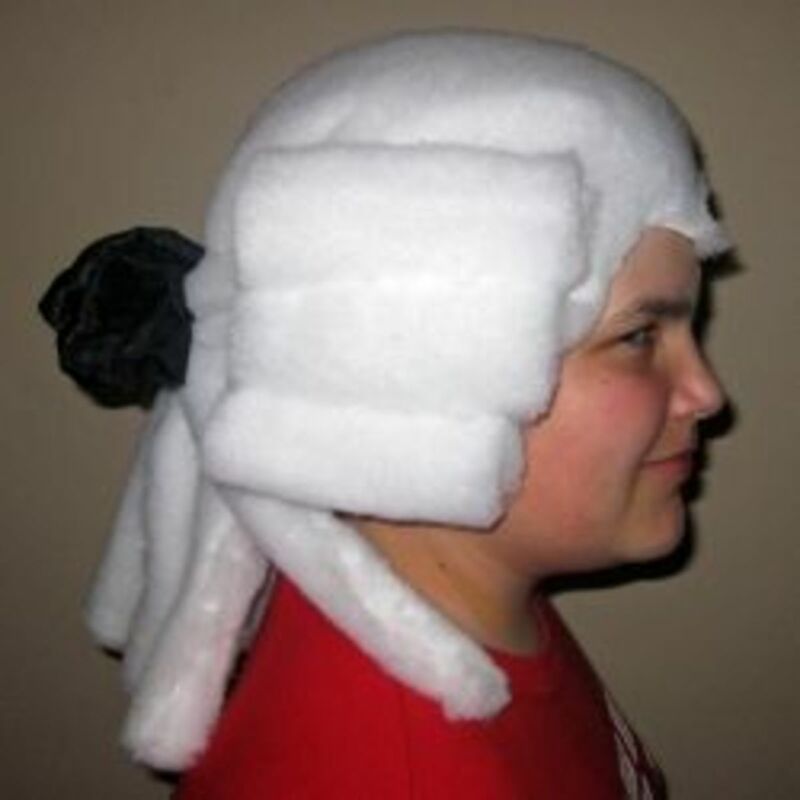 It was created by an accountant named Walter E. Diemer. He worked for a company called Fleer, which had unsuccessfully tried to create a good chewing gum. When Diemer stumbled up his formula, the company wrapped only one hundred pieces as a trial. At a penny a piece, the gum sold out by the end of the first day. By the end of the first year, Dubble Bubble had made a staggering 1.5 million dollars in sales. Like Tootsie Rolls, Dubble Bubble was sent overseas to the soldiers, until a shortage of sugar halted its production. After the war, Fleer picked up where it had left off, and Dubble Bubble went on to become the world's most popular gum. Dubble Bubble is now owned by Tootsie. 1945 saw the invention of the Dots. These fruity, chewy wonders are delicious, yet impossible to unstick from your teeth. At Halloween, these gumdrops are sold in small, yellow boxes with only a few Dots inside. If you love them though, it isn't hard to find them in bigger packages. 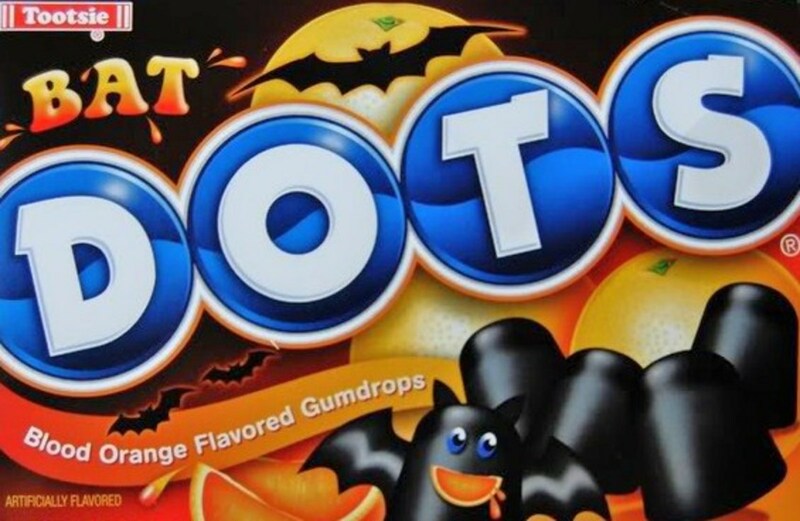 Dots are also available in many holiday themes, including ghost or bat Dots especially for Halloween. Don't worry though, they contain no real bats. In fact, they are in PETA's list of vegan candies. They are also kosher! Candy has been around for centuries. Sugar cane was used as early as the 6th century BCE to make a sweetener other than honey. The first "cooked"candy is thought to have originated in India. Before candy made from sugar became well-known, honey was used to candy various foods in order to create sweet treats. Don't think of candy a diet disaster--consider it as a part of history! 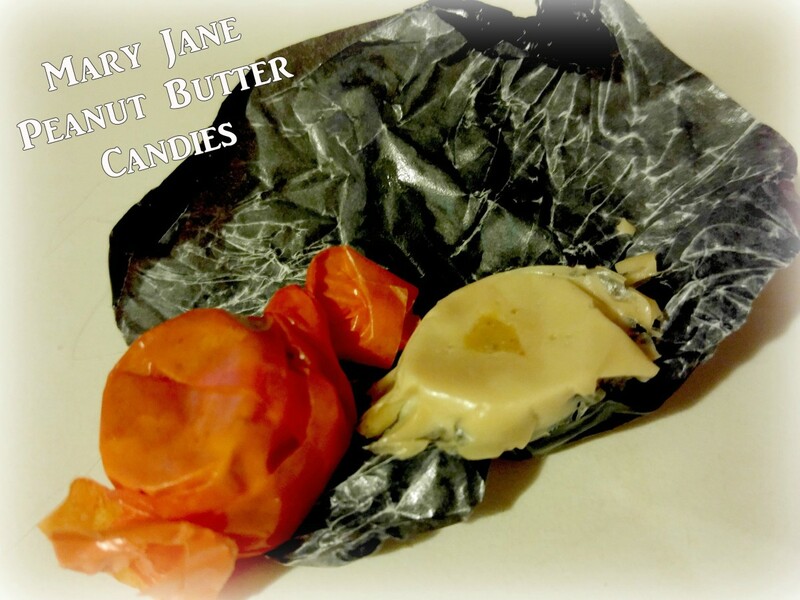 Mary Janes are either flat, rectangular candies wrapped in clear cellophane, or bigger chews in the familiar black and orange wrappers. Both are the same molasses and peanut butter taffy recipe. The only difference is that the larger candies contain a concentrated peanut butter pocket in the center. Mary Janes are frequently mentioned as one of the worst candies to receive on Halloween. I can't agree, because I actually enjoy them once a year, but I can see where they would be a disappointment to others. They are not particularly sweet, and don't taste enough like peanut butter or molasses to satisfy fans of either taste. However, they are very affordable, and will most likely be the candy you find on clearance on the first of November. Even though gummy bears are made by many companies now, the originals were the invention of Haribro, a brand which is still available today. 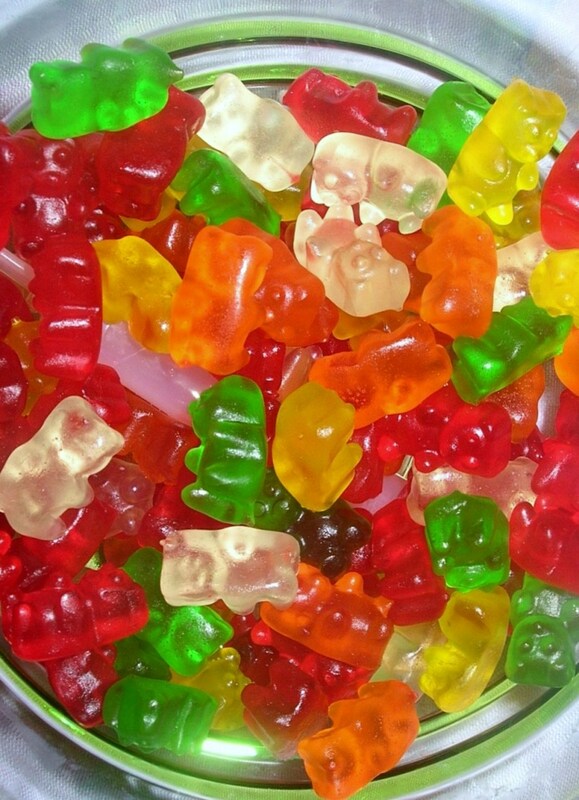 Even though Haribro has been around since 1920, it wasn't until the 1960s that the Gummi Bear was born. It was inspired by an already popular bear-shaped gum for which Haribro was famous. Since then, a huge variety of gummy shapes have been born, such as: worms, bugs, and food items ( like gummy cheeseburgers! Yuck!) 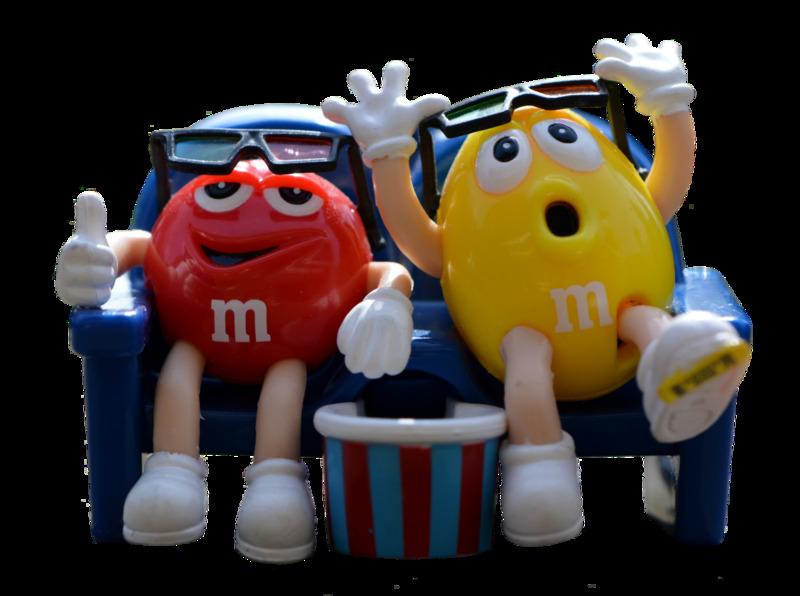 Some famous cartoon characters have also been gummified...Ninja Turtles, Smurfs, Spongebob, and popular Disney friends. 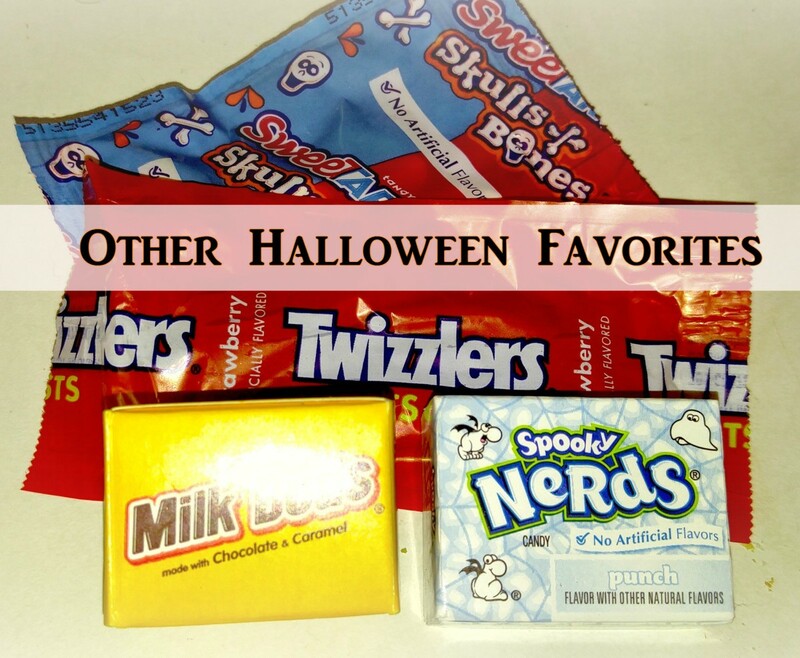 What is Your Favorite Classic Halloween Candy? 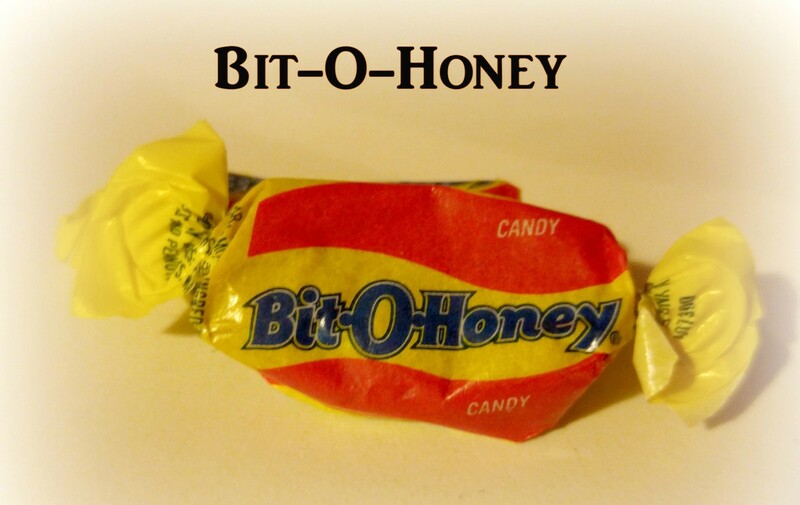 Even though I am not wild about honey, Bit-O-Honey candies are a welcome treat at Halloween. First introduced in 1924, they were actually sold as full-size candy bars that were divided into six breakable sections. These days you are more likely to find the miniatures of you go looking for Bit-O-Honeys. Even though they have a distinct honey flavor, it isn't overwhelming. Ground almonds are the other ingredient, which gives the bars a nutty, earthy flavor, perfect for when you don't want something overly sweet. Plus, these are essentially a taffy, so they last for a long time. In 1969, The Schutter-Johnson company (makers of Bit-O-Honeys) was merged into the Ward Candy company, which also brings you something else that might appear in your trick-or-treat bag-Raisinets! Over the years there were some other varieties offered, such as Bit-O-Choc that never really caught on in popularity. Now Bit-O-Honey is owned by Nestle's, and according to their site, they still use the same formula that first made Bit-O-Honeys a success. Twizzlers-Established in 1845. Now owned by Hershey's. Nerds-Appeared in 1983. Originally manufactured by Wonka, which is now owned by Nestles. Laffy Taffy-1971. Although taffy itself dates back over two hundred years. Gumdrops/Spicedrops-The mysterious candy. No one is sure of its origins, but has been recorded in recipes since the 1800's. Milk Duds-First created in 1926, the "dud" came from the fact that they could never be made perfectly round. All candy is not created equal. But then, no two human appetites are the same either. Therefore, everyone has their own opinion on the best and worst candy to receive when trick-or-treating. Whether you love nostalgic candy, or prefer to stock up on Snickers and Reeses, here are some interesting fun articles on the best and worst sweet treats available. Now that you know a little more about Halloween candy, don't be so quick to sneer at cheap candy in your collection. It might not be chocolate, but it is a tradition! Go forth and trick-or-treat with pride, and remember...what candy you don't eat can always be turned into a craft project for next year! @DzyMsLizzy--I can't speak for all kids, but when I was young enough to trick-or-treat, I was all about quantity over quality! It was neat to get chocolate, but it was more cool to compare how full our buckets were. :) Once we got home, we would sort out what no one in the house liked and then give it away to other children who hadn't gotten to trick-or-treat. Thank you for reading, and sharing your Halloween story. It sounds like you were a very fun house to visit! Congrats on HOTD!! Very interesting read! Of those listed in your article, "Smarties" are my particular non-chocolate favorite. As for most of the others--I really do not care for candies that glom onto my teeth! And candy corn? I never thought they were 'all that.' To me, they taste like nothing so much as slightly sweetened bits of wax. No particular flavor to them. 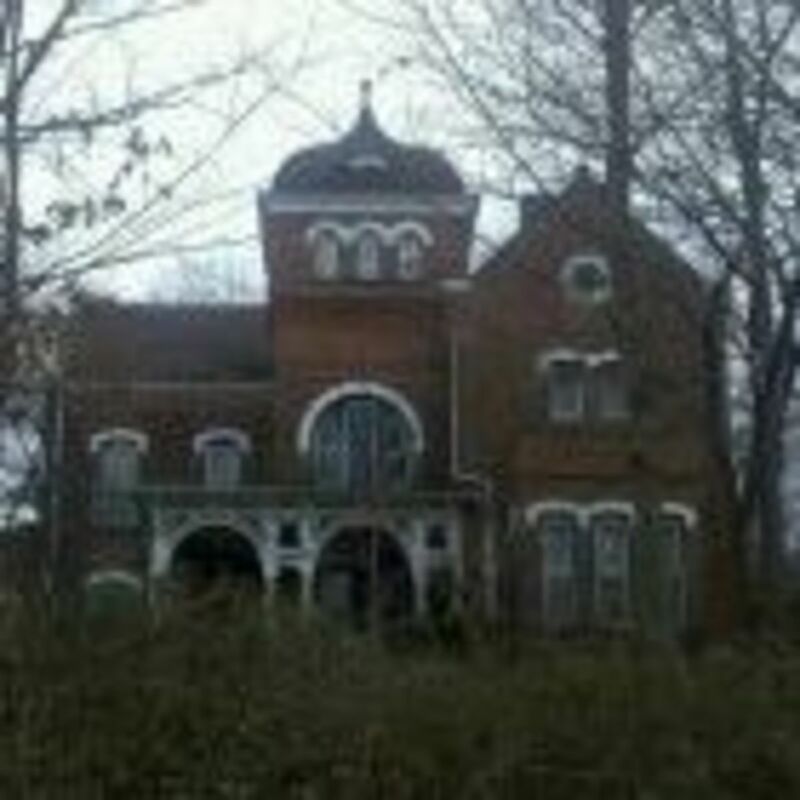 I always felt kind of guilty for being a cheapskate, but on the other hand, I think we made up for it by putting on quite the front-yard show complete with haunted house sounds playing, and dressing up to answer the door. Thanks for all the fun facts and a trip down memory lane. I actually prefer candies that are less sweet and so Mary Janes and Bit O' Brickle are top on my list. @Amanda108 - Thanks for reading! I always loved getting the Hershey's miniature bars and small bags of Reese's Pieces best! Where I live right now, one of the biggest local crops is sorghum. My kids always come home with tons of sorghum candy and it is really gross! Definitely makes anything else (except black licorice) in the candy mix taste better by comparison, haha! Jaymie, Happy Halloween. Your treat is a HOTD for this timely hub with interesting facts about Halloween candy and its origins. My mother loved candy corn while I preferred gummy bears. Only a small nitpick: you're missing to in the gummy bear suction for too small to sell. Well done! I love this hub! It was genuinely so much fun to read and I found your words about the candy being "tradition", even if one personally doesn't find any of these classics* tasty myself**, meaningful. And yes, recycling old hard candy like candy corn and Smarties into craft projects works great! *Well, except Nerds and Laffy Taffy - but those were in the extras list! **What can I say? I'm a snob; I can admit it. I'm used to getting tons of Reese's Peanut Butter Cups and Kit Kats at Halloween! This was a fun hub to read! I love candy but it always seems more exciting at Halloween. I'm a chocolate lover myself but always enjoyed the variety of other treats and I thoroughly enjoyed the history of each. Thanks for sharing! LOL right now. Our trick or treaters came and went: all Ten of them! Honestly, I have soooo much Halloween candy left over. Thank goodness I still have a teen ager in the house. Smarties and dubble bubble! oh my! you have brought back my favorite sweets! I remember eating them when I was small, I even got the taste of the dubble bubble when I was reading it! lol! you call it candy over there, we just say sweets, but its the same thing, yummy! lol! @Denise-That is so funny! I used to do the same thing! 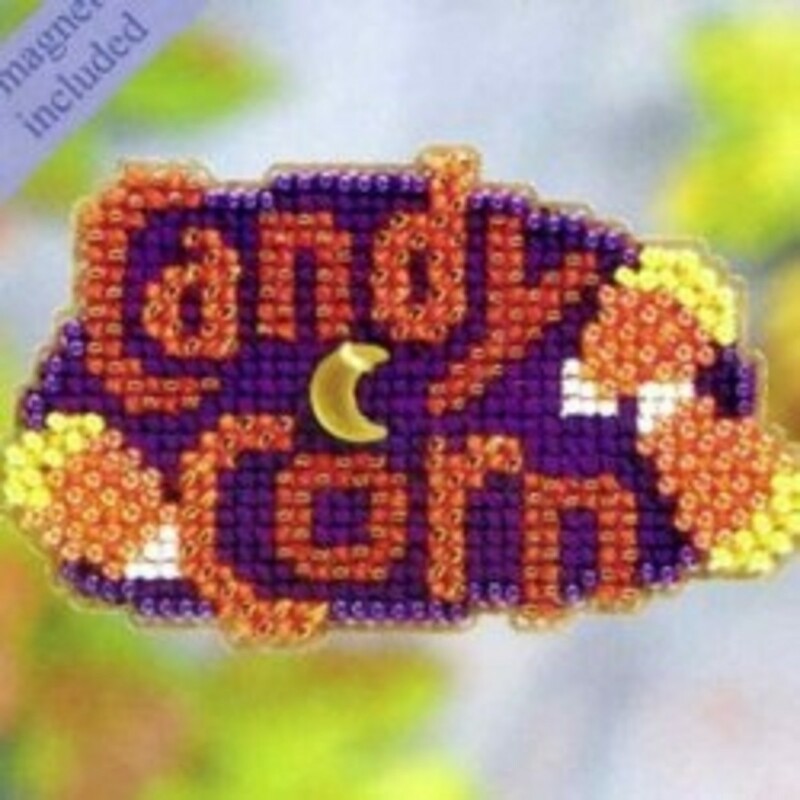 I always got in trouble for biting off the white part then putting the candy corn back in the bowl! :) Thanks for the comment and the smile! I have a terrible sweet tooth, and I love all these candies you mentioned, especially candy corn. I like to decorate cupcakes I made during the Halloween season. I voted this UP etc. Oh, thank goodness someone wrote a hub about this subject and now my curiosity can rest. I love candy corn-it's my favorite Halloween seasonal treat. I like to take tiny bites from one color to the next, haha. Wonderful treats but not any of them do anything for my dental work. @Daisy-Thank you! I hope it inspires you revisit a childhood favorite! I haven't even seen Bit-o-Honey this year, and I was so looking forward to them! Bit-o-honey, Mary Janes and dots had me strolling down memory lane to the penny candy store my cousins and I frequented often during glorious stays at our grandparents home in the summer. Great hub. I so enjoyed this. I'm happy to see that my favorite candy Smarties made the cut for your Yummilicious and informative filled hub! What an interesting article! I remember many of these "old-fashioned" candies. I hadn't thought about them for years. I love candy! Thanks for the awesome histories.